I can’t imagine anything better than that. 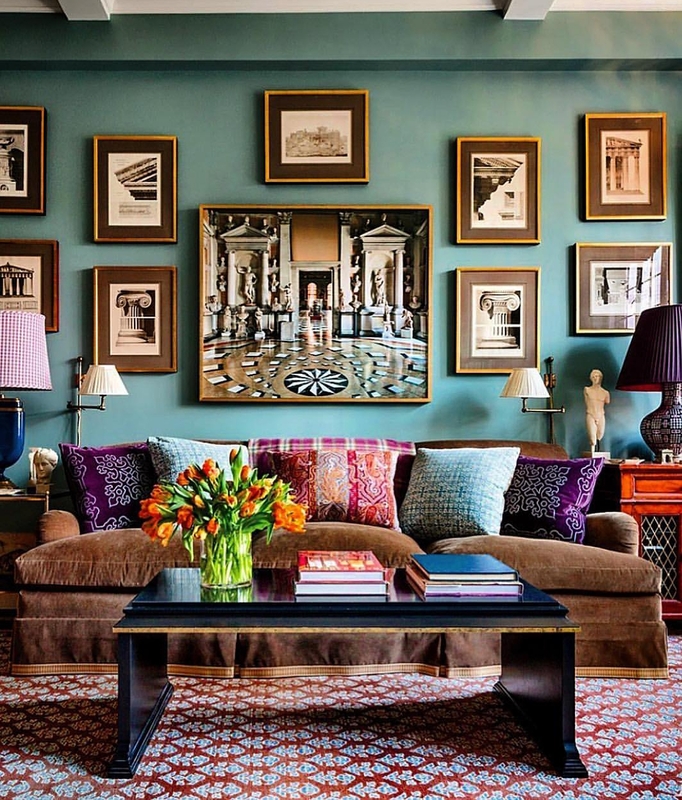 Amazing family room by Alexa Hampton Inc. Love the use of Color!! Designers who create rooms incorporating Traditional looks with a few clean modern accents or maybe some wonderful vintage or antique pieces take my breath away and make my heart beat. Beautiful design can always do that to me. Obviously color is a major factor in the design of the warm, cozy Traditional room. Although I enjoyed the greys and accompanying pale palette that has been trending...it is cold…Brrrh! So I am not so sad to see it trending down and away. What do you think? Are you ready to move on to some great color and tradition? or will you be trying to hold on to the cooler palettes? Once change starts on the wholesale level you will start finding less and less of the outgoing trends and colors. It takes a little time to transition and longer still for the retail customer to embrace the next trend. Often customers will look for decorative accessories and accents in colors that have recently passed out of favor and they become extremely hard to find…sadly I’m sure that on occasion you have experienced this. When the market starts to transition it is always wise to finish a room before accents become more scarce. 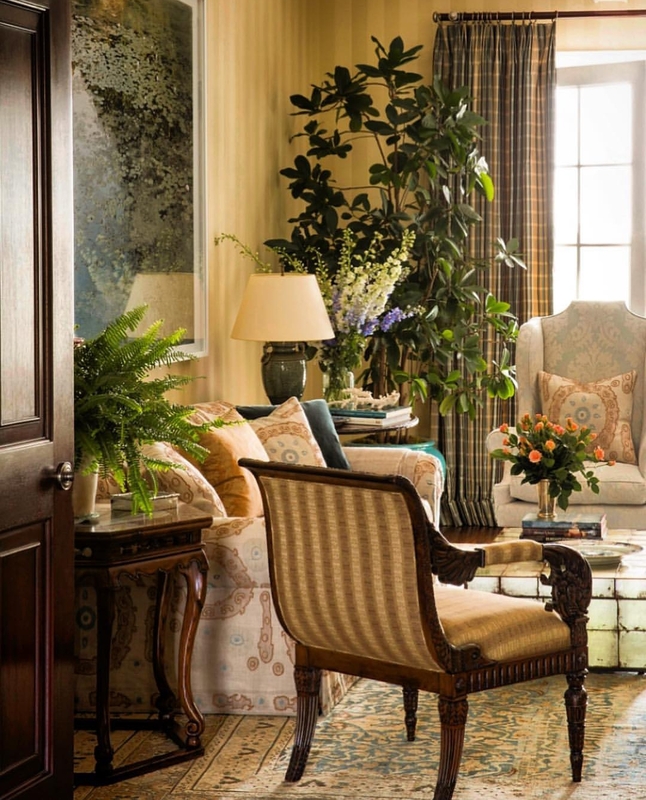 Taken from designer Michael Smith’s book “The Curated House: Creating Style, Beauty and Balance”. Personally, I am wholeheartedly embracing the return of color! This entry was posted in Furniture, gifts, Home, Uncategorized and tagged Alexa Hampton Inc., architecture, benjamin moore paint, color, decor, design, home, inspiration, interior design, Michael Smith Inc., photography, room design, The Whistling Elk. Bookmark the permalink.